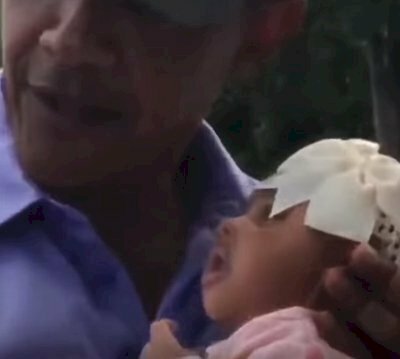 Former President Barack Obama still has that baby-kissing knack. Kissing babies has been a time-honored tradition among electoral candidates for political office. 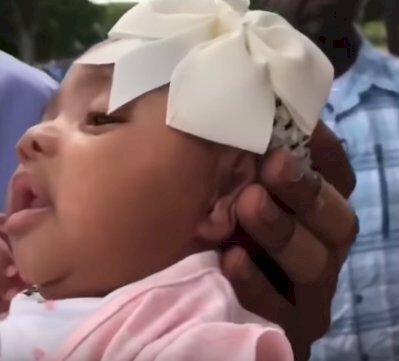 Jackson won his second term, and baby-kissing became "the thing." 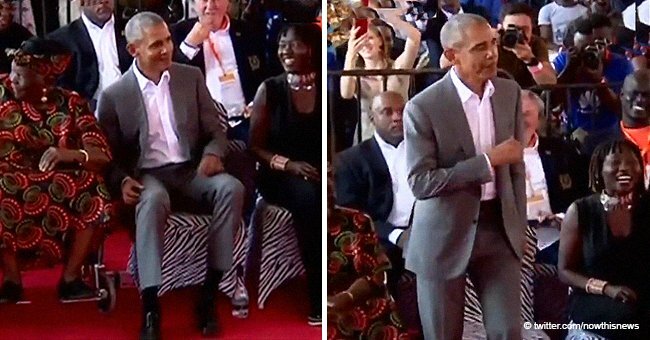 Barack Obama did his share, and it looks like he's still going strong, to judge from a video quickly going viral on YouTube. 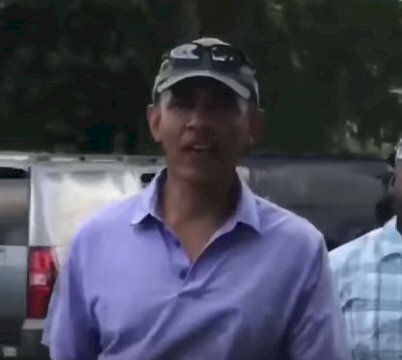 Barack Obama was playing golf in his native Hawaii when he came across a group of admirers, among which was tiny Paisley Edwards. Obama asked Paisley's mom Chelcie if he could hold her, and he asked her age. Paisley is, as the former President exclaimed, "brand new," at just 7 weeks of age. Obama, who is the father of two, handled little Paisley like a pro. The former President looked quite broody as he cuddled the tiny tot, and planted a gentle kiss on her forehead. President Barack Obama called for "new blood," and for young people to step forward and take up leadership roles. Paisley's parents were touched by his loving gesture, which they described as a blessing and a pivotal moment in their lives. It will certainly be something to tell baby Paisley about as she grows older and may even inspire her to run for president herself. 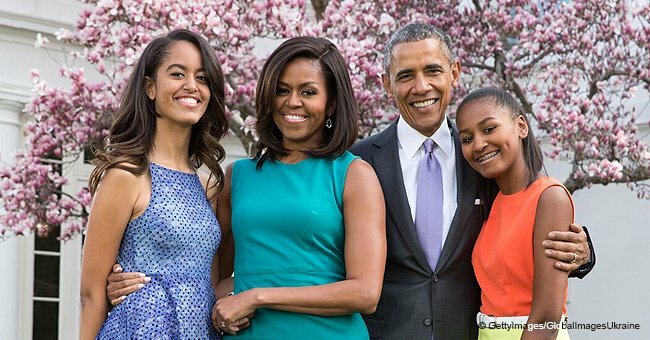 Obama confided in Paisley's father Joseph Edwards that “You can’t beat having daughters!” Barack Obama shares daughters Sasha, 17 and Malia, 20, with his wife Michelle. 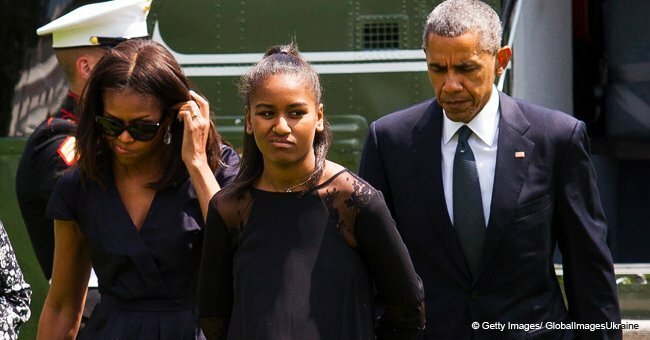 Read more about the Obamas on Twitter Amomama USA. 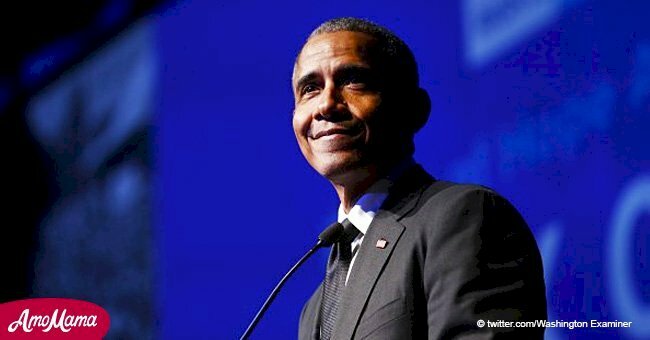 During his recent visit to Hawaii former President Barack Obama called for "new blood," and for young people to step forward and take up leadership roles. According to Obama, there is a serious deficit of new ideas, and commitment to change and openness to innovation in the current political class. "People cling to power instead of seeing the power in other people." The former President was addressing the guests of the Obama Foundation at an event in Hawaii. Obama's Foundation aims to create new opportunities for boys and young men of color, providing support through mentoring, education, job training, and scholarships. Barack Obama hopes to inspire young Americans of all races to take an active part in their countries political life, and bring about a renewal of the nation's leadership. 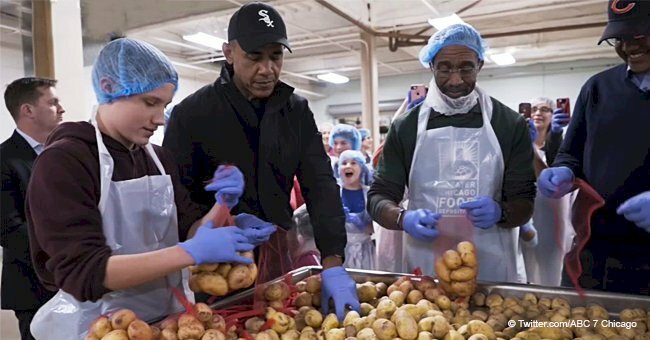 In a related story, Barack Obama shared in the Thanksgiving spirit when he joined volunteers from the Obama Foundation and distributed food to the needy in Chicago.